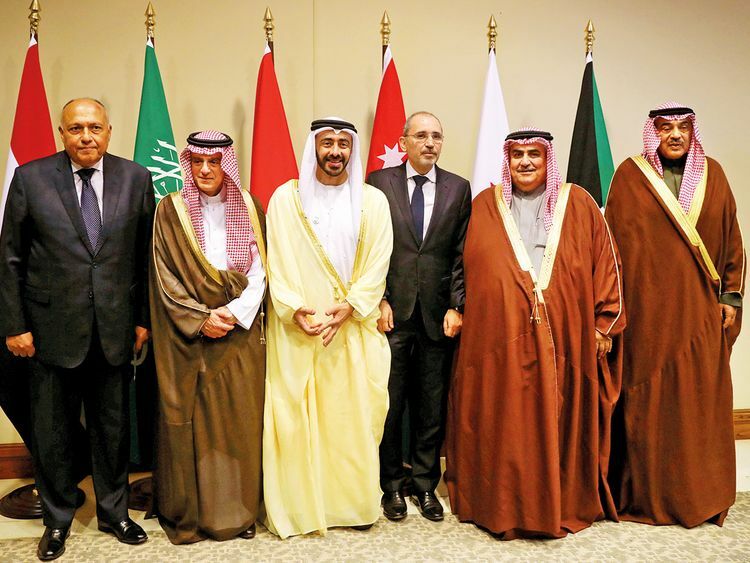 Dubai: Foreign Ministers of Saudi Arabia, Bahrain, UAE, Egypt, Kuwait as well as Jordan concluded their consultative meeting held Thursday at the shores of the Dead Sea, reported PETRA news agency. The ministers' meeting comes two weeks before a ministerial conference on the Middle East that will take place in Warsaw, which the White House said aims at "promoting a future of peace and security in the Middle East." The meeting will discuss issues related to the region’s security and it’s difficult to talk about these issues without referencing Iran. 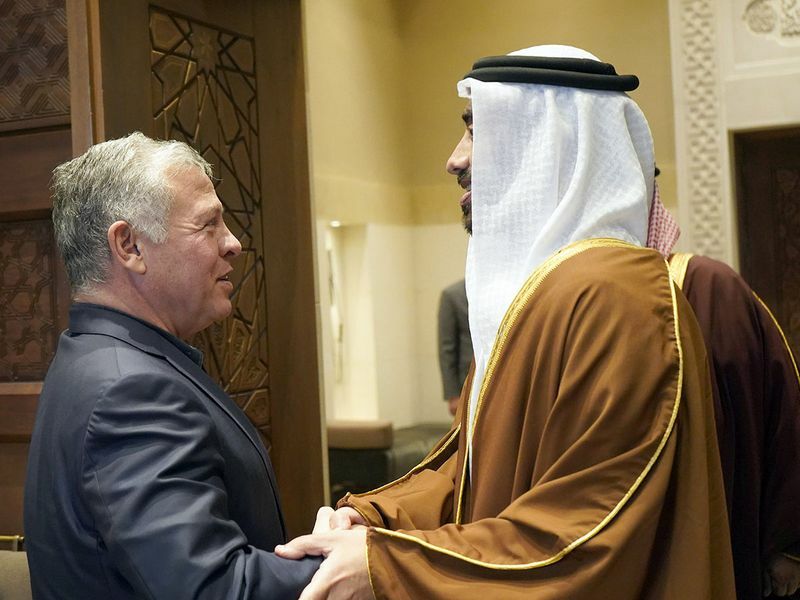 UAE Foreign Minister Shaikh Abdullah Bin Zayed met with Jordan's King Abdullah on Wednesday ahead of a meeting with Arab foreign ministers to discuss regional matters Thursday. 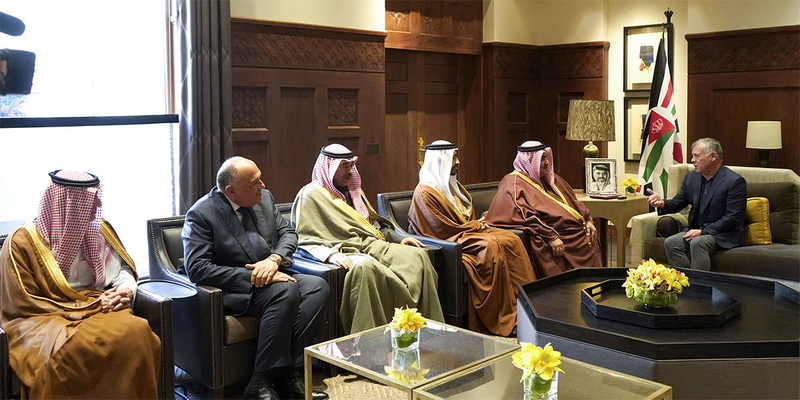 Jordan's King Abdullah also met with the foreign ministers of five Arab countries ahead of Thursday’s meeting to be held in an undisclosed destination at the Dead Sea. 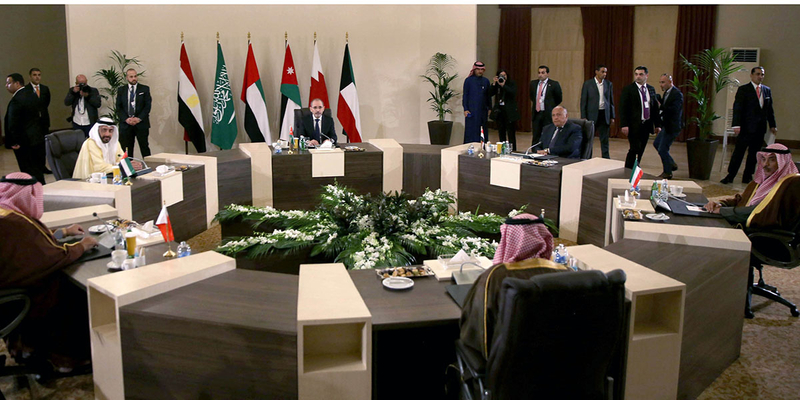 Beside UAE Foreign Minister, the meeting is attended by with Bahrain’s Foreign Minister Shaikh Khalid Bin Ahmed Al Khalifa, Saudi Arabia’s Minister of State for Foreign Affairs Adel Al Jubeir, Kuwait’s Deputy Prime Minister and Foreign Minister Shaikh Sabah Al Khaled Al Hamad Al Sabah and Egypt’s Foreign Minister Sameh Shoukry. Saudi Foreign Minister Al Jubeir became minister of state for foreign affairs last December, but still maintain an active role in regional and international affairs. According to a statement by the Jordanian Royal Court, the talks focused on the latest developments in Syria, Iraq and Palestine. King Abdullah stressed the need to end the Palestinian-Israeli conflict on the basis of the two-state solution and the Arab peace initiative, leading to the establishment of an independent Palestinian state with East Jerusalem as its capital. He also emphasized the importance of joint coordination in various issues and crises facing the region. Jordanian Foreign Minister Ayman Safadi is expected to host his regional counterparts in at the Dead Sea on Thursday in a consolatory meeting to discuss improving relations and addressing major Middle Eastern issues. Jordanian Foreign Ministry Spokesperson Sufian Qudah told the Jordan Times that the ministers will go over bilateral relations and regional developments. A statement from the Jordanian foreign ministry said that the talks would be an “exchange of ideas” on ways to solve the Middle East’s crises as well as serve pan Arab causes.